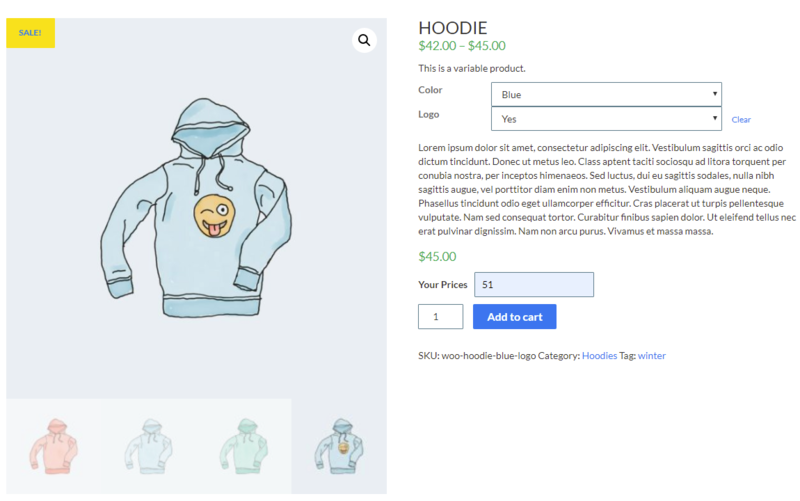 Woocommerce Product Custom Price is a wonderful plugin that allows a customer to purchase products with custom price and the maximum or minimum price of a product will be set by the admin. Woocommerce Product Custom Price has an option to set the maximum or minimum price of a product for the custom price. This plugin has the option to set a custom price for variation products. 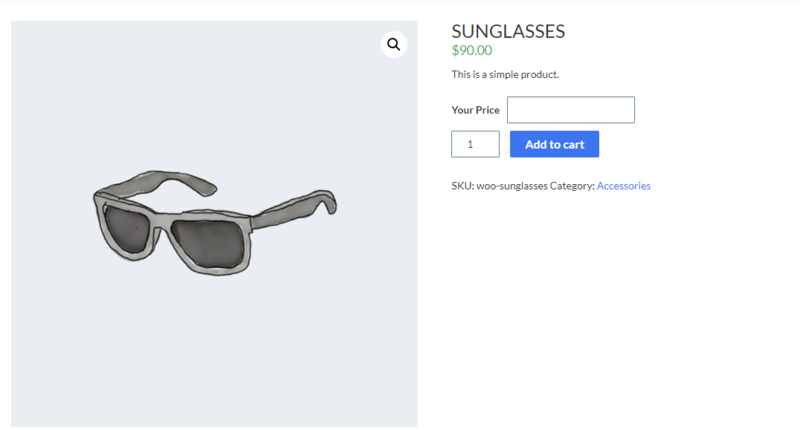 Produt custom price plugin has the option to enable or disable custom price for a product. Admin can set label text to enter the custom price of a product in the frontend. Admin can set the notification for a lower price and a higher price of the product.